Two recipes in one post. Blueberry extravangaza. 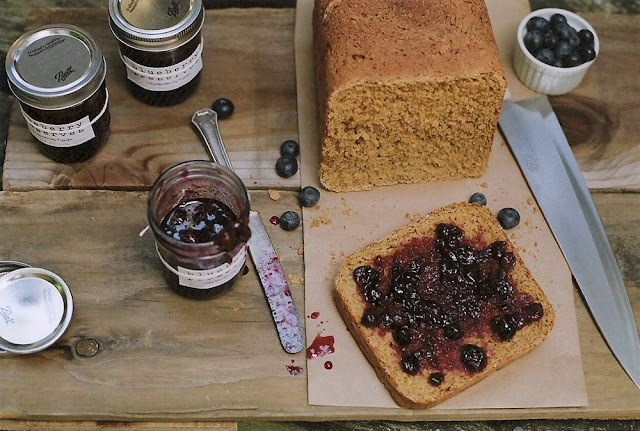 Ever since my first jar of Bonne Maman Blueberry Preserves, I have wanted to make my own. That magical little jar with the check top is so fresh & tasty, like it came straight from the farm. So when blueberries went on sale, I knew it was time to venture into preserve making. 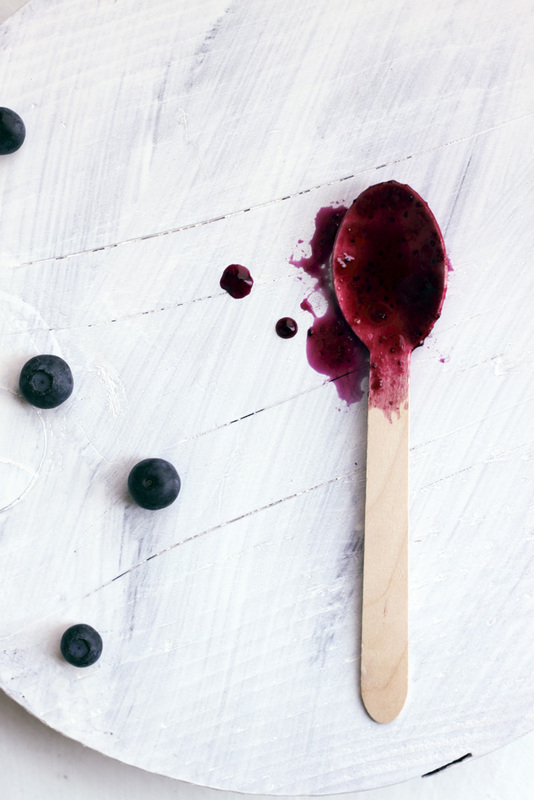 Only blueberries and sugar, and you can even add less sugar if you want because blueberries are sweet all by themselves. Hey its me! I made the bread too, it was sometype of molasses oatmeal bread or something. It was not my favorite ever, a bit too dry, so not worth giving you the recipe. I think the bread machine recipes are all a bit wonky because most that I have tried all come out too dry. I'll have to research some good recipes and let you in on the secret. The tray I made too, not the cutest thing ever with the two big boards at the bottom for bracing it, but good for a quick project. Just cut two pieces of wood, the same size obviously, to however large you want it, nail them to two pieces at the bottom then add some door handles on the sides or top. I have plans to make a proper serving tray, maybe painted and everything, once I can find some wood I think would be perfect. But I also want to make a table and a little shelf, but all in time, I always have so many things I want to make. The cake on this is really soft and try to bake it until it is just set, not browned around the edges at all. 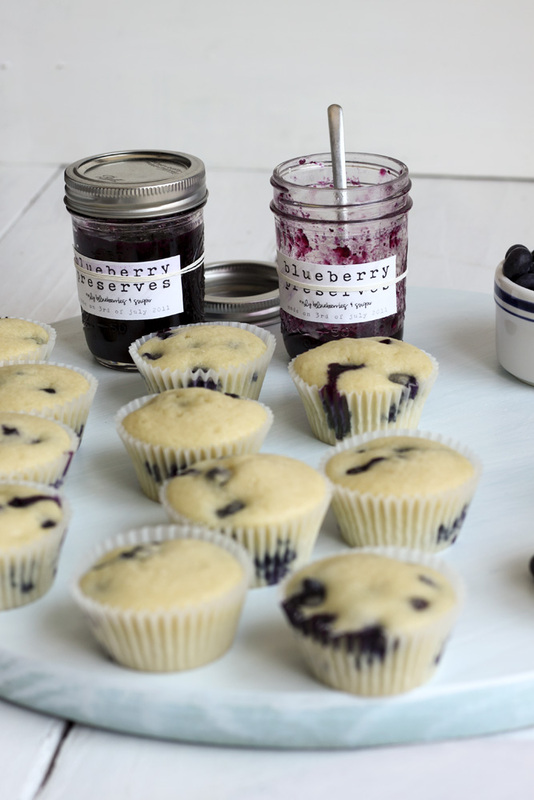 When I found this recipe I thought, gosh the blueberries are just going to sink to the bottom of the cup like they did in my muffins. The recipe said to freeze the fresh berries but I still doubted that it would actually work. 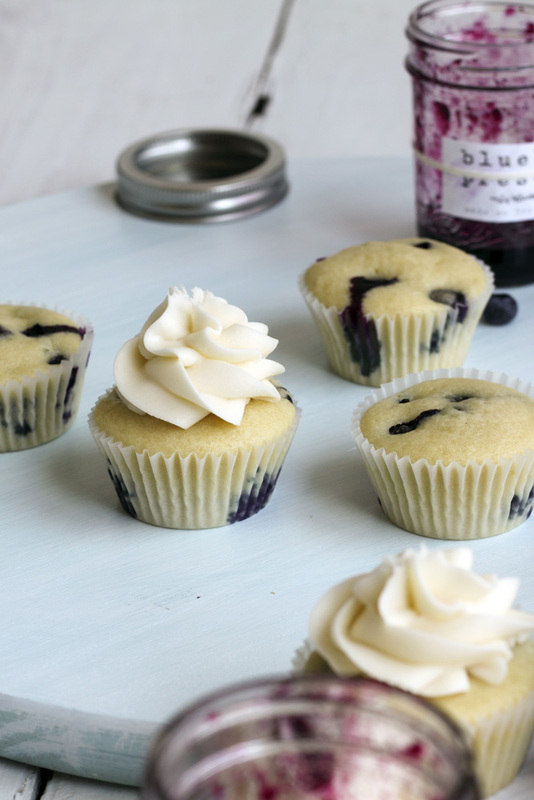 But alas it worked really amazing and now it's not just blueberry bottom cupcakes, the are scattered throughout the cupcake and even some still stayed at the top of the cake, so nice! 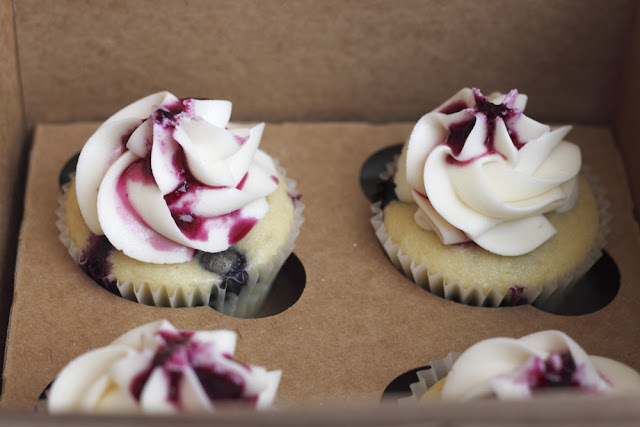 It didn't affect the taste at all either, it still tastes like a fresh blueberry cupcake and not like when you use frozen ones it of the bag that get all mushy and dye the whole cupcake purply. 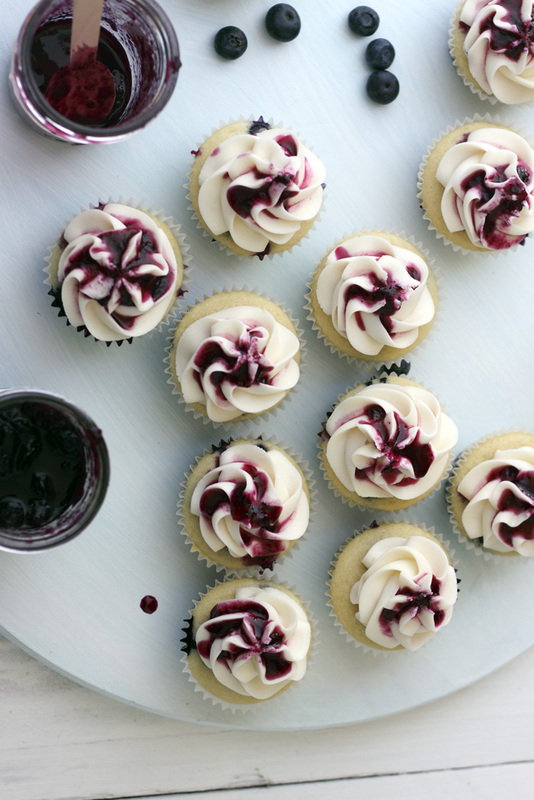 Try to get out just the juicy parts of the preserves, putting the whole or crushed berries on top of the cupcakes looks too lumpy. Is there anyone in San Francisco that knows of a good... cheap..., place to get 120 film developed? When I lived in Sacramento I could get it done for 4$ a roll and could pick it up in less than an hour. I haven't seem to have found anyplace in the city, everyone I have looked up online wants about 8$ or more a roll and take pays to get developed. Let me in on your secret spots so I can keep using my old Kiev. I miss the big square negative. In school I used that camera a lot and one of my teachers said she was surprised I liked it so much because the square was so hard for her to compose in. I think it is so much easier than a rectangle! Whenever I do a vertical it just looks so long or the rectangle just seems so have extra bits on the side that aren't necessary. I would love to shoot with the mamiya 645afd, which I would check out at the beginning of the school year and hoard until I was forced to give of back. If you have the money and love film that was one ofthe best cameras I have ever shot with. It is big, clunky and heavy but so entirely worth it. I could somehow handle light with that camera that I jut can't do with digital. Even shooting worst, no brand, high saturation film I had, the photos would come out amazing. I always seriously consider saving up for that camera rather than a 5D, even though it is so much less practical, professionally speaking. And that would mean saving up for digital back for it which seems like 10 grand that would never happen for me. I can still dream. 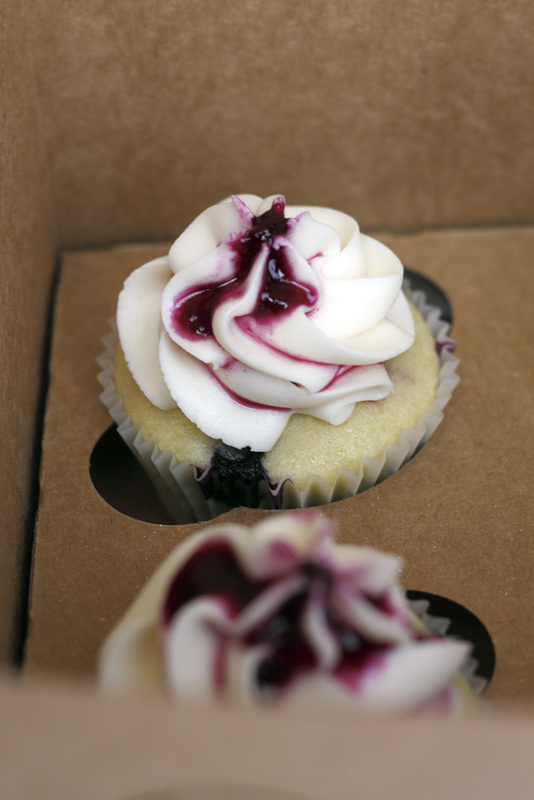 Now back to a cupcake work week, which I am actually looking forward to. After a drama relationship ending weekend, which has left me broken, I'm need to get back to baking so I can put my mind on something. i met a photographer who previously lived in san francisco and she recommended http://www.photoworkssf.com (she still sends her film there). do you scan yourself? believe it or not, i've actually used walmart, and my friends have taken their stuff to costco. but they're kind of hit-or-miss. i've heard nothing but good things about the mamiya. i love my 645 but just can't justify the cost of processing/scanning for personal work. lovely photos, as always. sorry to hear about the relationship ending. I currently have so many projects on the go too. I started making a table top but have yet to paint it, I'll get there. I love your little tray you made. The cupcakes and the preserve look delicious of course!! Sorry about your relationship. Wishing you all the best! Gosh, I am in love with all of your pictures. 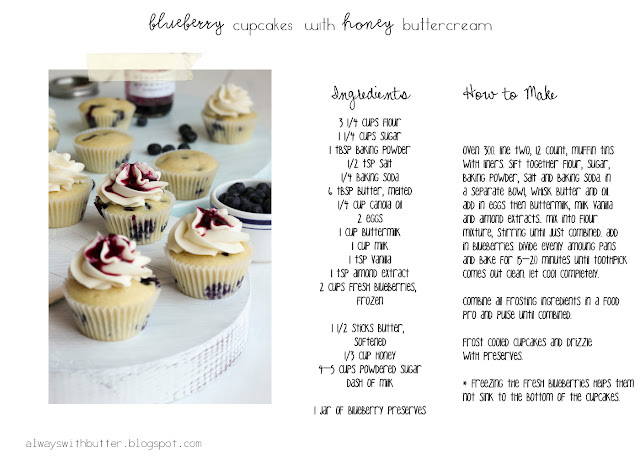 Those cupcakes look amazing, too, and I love the combination with honey. How do you pipe the frosting to look like that? Those photos are fantastic and you are very beautiful woman! Your cupcakes are so sweet! I like the idea of drizzling blueberry preserves over the top. Take care! When u mentioned "whisk butter n oil...", does it mean to mix well all e liquid ingredients by hand or by electric mixer? One door closed, another opens! Oh wow, those look beautiful! I can hardly wait to make these, they look so good. I'm going to substitute with blackberries I picked, I think that will be delish as well. Love that shirt by the way...do you mind sharing the designer/brand? i love your homemade tray! i'm going to attempt to make one too! beautiful post and photos! 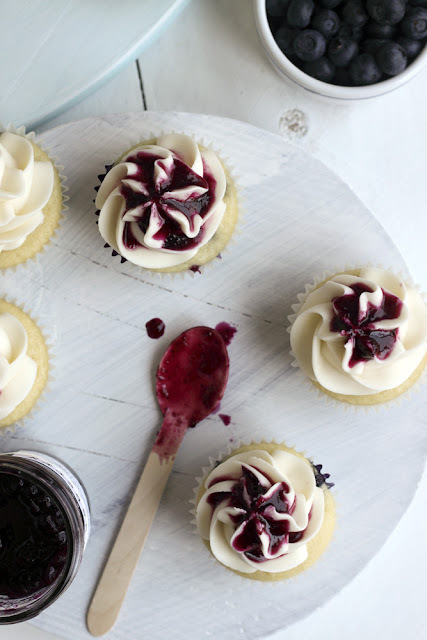 Such a lovely post this is.. i love how the blueberry preserve looks so pretty and that cupcake is tempting me .. and all the clicks are just so gorgeous. These cupcakes look do yummy. 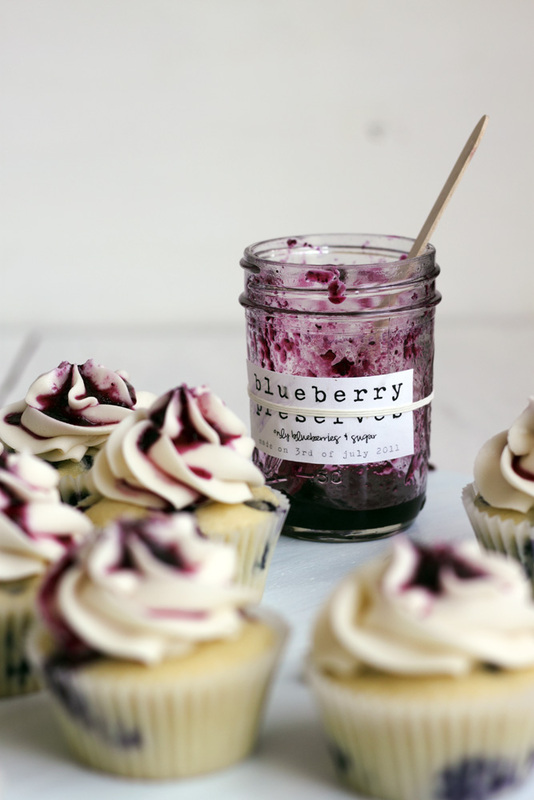 And I love the label you made for the blueberry jar! I need some serving trays as well, never thought to make one! Such cute cupcakes! I can't wait to try this recipe asap. Loving you little labels on the jars. So cute! Fabulous! 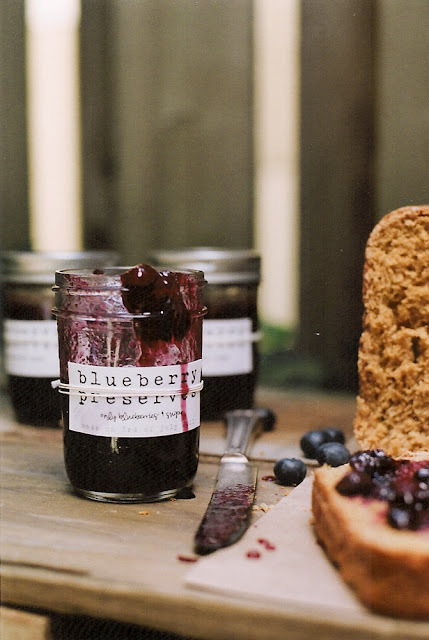 I love how simple the jam is, I didn't realize blueberries didn't need pectin to set! I'm hosting a jam exchange if you have any interest in swapping jam with a partner this summer :) You obviously make one delicious looking jam! LOVE your photos! These look delicious. I love making cupcakes, will definitely give these at try before summer is over. Try Photoworks SF. You can mail in your film to them and they will mail it back. Not sure of the cost, but I get all my film developed by them and they are good. If you join their group on Flickr, Friends of Photoworks, you get 10% off every time. Those look amazing! Gonna try making the jam, thanks! 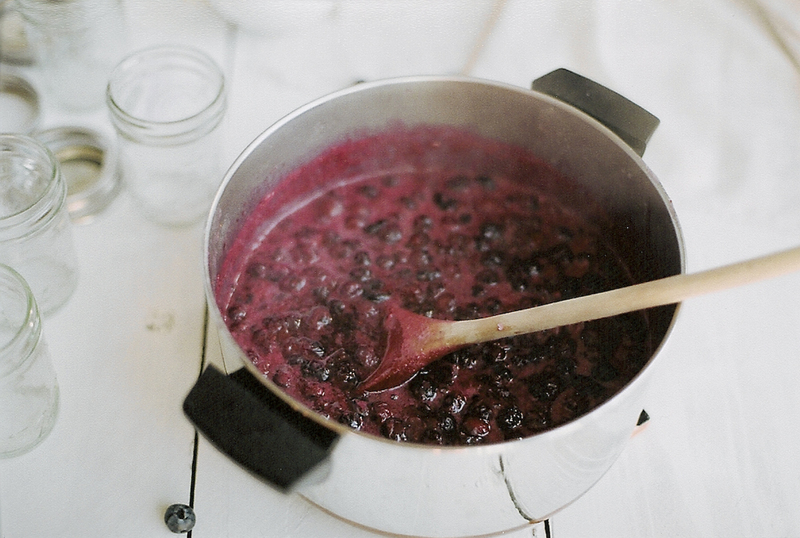 I love making jam, it's so exciting. 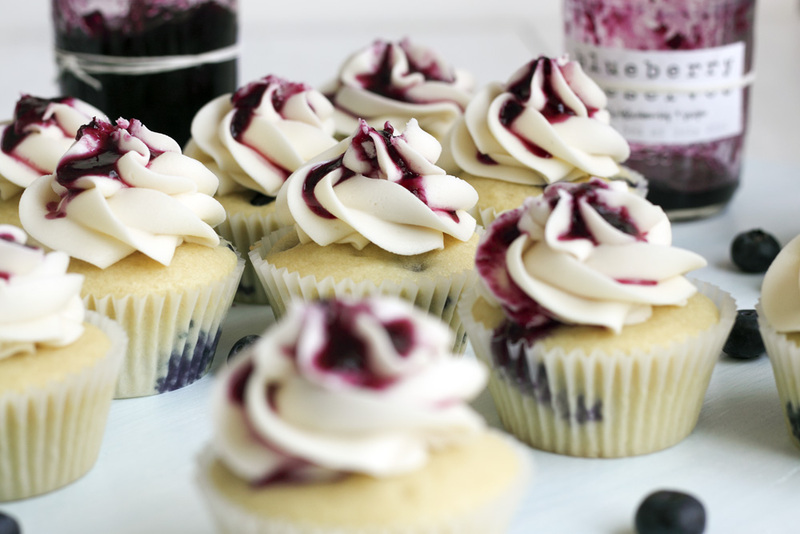 Blueberry is one of my mum's favourites, I might have to try making this for her. I also adore the thought of the honey buttercream - I'm on a real honey kick at the moment. delicious recipe and delicious pictures. Congrats. I've shot with that very same Mamiya and agree it's quite lovely—but nothing can replace my 5D! You won't regret it. Those cupcakes look AMAZING! Oh man am I hungry! Gorgeous! 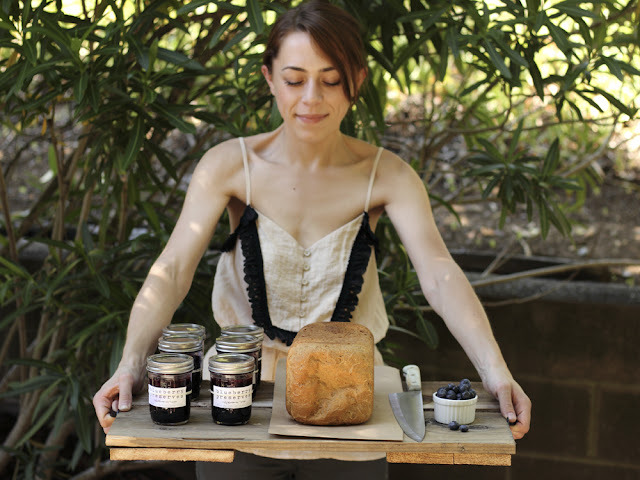 I have always wanted to make my own blueberry jam too - berries are pretty expensive here so I have yet to follow through. But one day..! Such beautiful photography! I'm a big fan of homemade jam desserts, and these look just darling! This looks amazing - so beautiful! Those looks amazing! The photos are gorgeous! NOTE: Please only visit through Google or any search engine. Only ONE click is needed. what is the unit of measure on the baking soda? Jenks thinks Hemingway is simply aimlessly writing and the plot lacks the tension notable in his earliest works such as The Sun Also Rises. However, he thinks Hemingway had good material to work with and some skeletal thematic structures show promise. Hello, this recipe looks delicious and I just starting making it, but I just noticed it only says, "1/4 Baking Soda" and not tsp or Tbsp. Which is it?? gunvault microvault biometricElectronic CigarettesI impressed with this post. I rarely found this. I came across this and interesting stuff is present here.I will bookmark your website and share with my friends. I am waiting for your next interesting post. Boots SaleEscort NordjyllandI impressed with this post. I rarely found this. I came across this and interesting stuff is present here.I will bookmark your website and share with my friends. I am waiting for your next interesting post. изделия из пластмассы CarnitineI impressed with this post. I rarely found this. I came across this and interesting stuff is present here.I will bookmark your website and share with my friends. I am waiting for your next interesting post. billeie tromsøengagement ringsI impressed with this post. I rarely found this. I came across this and interesting stuff is present here.I will bookmark your website and share with my friends. I am waiting for your next interesting post. personal loansOceanfront real estateI impressed with this post. I rarely found this. I came across this and interesting stuff is present here.I will bookmark your website and share with my friends. I am waiting for your next interesting post. scor kvinderreplica rolex watches for saleI impressed with this post. I rarely found this. I came across this and interesting stuff is present here.I will bookmark your website and share with my friends. I am waiting for your next interesting post. florida health insuranceHolidays Sri LankaI impressed with this post. I rarely found this. I came across this and interesting stuff is present here.I will bookmark your website and share with my friends. I am waiting for your next interesting post. Capsiplex ReviewsWoodlands Breast AugmentationI impressed with this post. I rarely found this. I came across this and interesting stuff is present here.I will bookmark your website and share with my friends. I am waiting for your next interesting post. That is all just brilliant and beautiful...thank you so very for for sharing, the family I cook for in the summer time is going to love it! The Taliban have objected to this, as they regard the Kabul government as illegitimate. There are certainly a couple more details to take into consideration, but thank yiouj for sharing this information. Reading this i finally took a break from my job. This post just gave me a few minutes of relax. Thanks for sharing! I agree with you. The artical improve me so much! I will come here frequently. An interesting page you have in here. Thanks for sharing. Definitely awesome. Impressive indeed. I never thought eating snow was a good idea anyway. Thanks for the info..
Nice post. This is a great blog and I have to congratulate you on the content. This is a great blog, usually i don’t post comments on blogs but I would like to say that this post really forced me to do so! Great information. I like all your post.I will keep visiting this blog very often..
distinguished way of writing the post. simple to read and follow. Please keep up the good work. Thanks. I thought I would leave my first comment. I dont know what to say except that I have enjoyed reading. Nice blog. I will keep visiting this blog very often. This has come quite handy. I have been trying to increase comments on my site to get some search engine love. Really wonderful post. this blog is awesome.Posts with more information will be great. Thanks for this awesome post. There’s a lot of useful and interesting information on here. Keep up the top work! Thanks for posting the good content…I wanted like this…I found it quiet interesting, hopefully you will keep posting such blogs. Hey there! Your blog is perfectly fantastic. Lots of great information and inspiration, as both versions we all need. Thanks. The blog was absolutely fantastic! Great deal of great information and this can be attractive some and the other way. Keep updating your blog,excited to get more detailed contents…Great job, thanks.. The topic that your blog deals with demands loads of research.This kind of blog always useful for blog readers. This is what I have been searching in many websites and I finally found it here. Amazing article. I am so impressed. Very good write and pleaseand to read. Hope we`ll be updated soon with some more informations about this topic. I like your blog, It is very good. I am very happy to leave comment here for you! Over here you have posted some really great stuff, i am really glad to read this blog post. Thank you so much for sharing this wonderful advice with the world. Its amazing and truly inspirational, makes you really want to work that much harder for what you really want. Good article, very nice writing. this website is really good, thank you for sharing the info I'll be indicating this blog to my friends so keep it up.. Excellent stuff from you, man. thanks for sharing... I’ve read your things before and you are just too awesome. i will bookmark this for my future needed. There are several things that are to be included within this post, I'd say some omitted facts..But gradually gud effort. Yummy what a sweet dishes really like them. 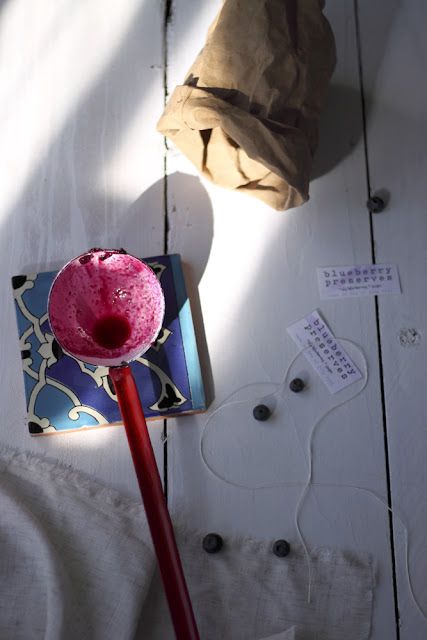 great blog and food pics! you should open a studio! great food so hungry! need bacon! There are alot of useful posts in ur blog i must appreciate this effort. If these new articles become available in case any changes occur in the current publication, I would like to read more and learn how to make full use of these methods can be worth to discuss. "Personally, the post is in fact the most excellent on this impressive topic. I harmonize with your conclusions and will keenly look further to your future updates. " "I just wanted to leave a comment to say that I enjoy your blog. Looking at the number of comments, I see others feel the same way! Congratulations on a very popular blog." I’am very happy to read this article..thanks for giving us this useful information. Glad i discovered this on Google. You efforts to provide us so nice and useful information are pretty good. Thank you for the sensible critique. Me & my cousin were just preparing to do a little research about this. We got a book from our area library but I think I learned more from this post. I am very glad to see such wonderful info being shared freely out there. These are so gorgeous! I love them and they sound delicious. "Just rub this over the marks and wipe with a finger for instant readability. Hardly any effort and easy to manage." Your article is very nice and gave us an important and interesting information. Hopefully you can make an interesting article that I would often visit to read your article. I have the several of constant thoughts contained during this article. It's smart to understand i am not the sole one who has these views. You have got written a wonderful quality informational article. Thank you. I made these last night and it's such an amazingly wonderful recipe and combination of flavours! 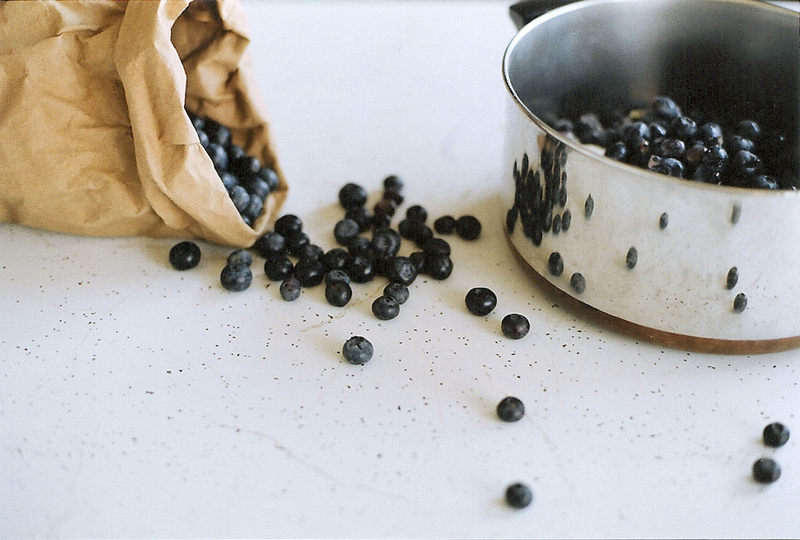 We had some very squishy blueberries that needed using up and it was a perfect recipe to do just that. I'm actually in love the honey buttercream in particular - definitely a new favourite thing! 300 degreees seemed low to me but I followed the recipe to a T. Low and behold, they turned out undercooked. Did you make mini cupcakes? Mine were full size. I have wanted to make my own. 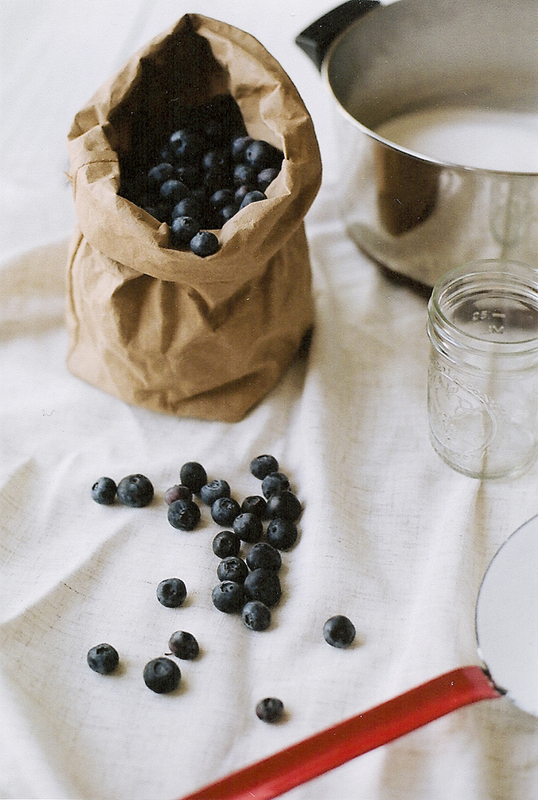 That magical little jar with the check top is so fresh & tasty, like it came straight from the farm. So when blueberries went on sale, I knew it was time to venture into preserve making. I don't know if anyone in the comments has suggested this...but to keep berries or chips or whatever from sinking in your batter, roll them briefly through a bit of flour, just to coat the outside with a light dusting. 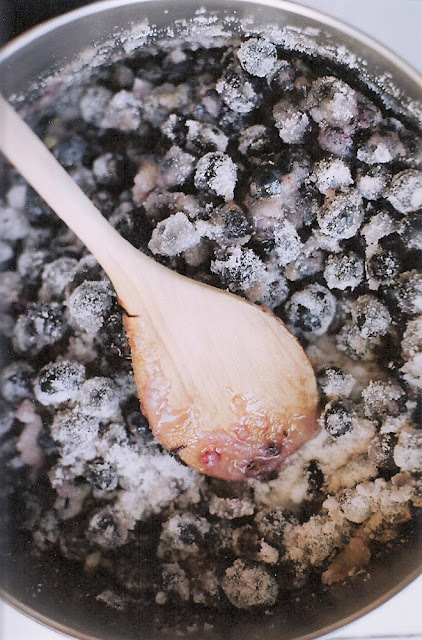 The berries should stay in place in the batter without sinking after. i'm on your blog for the first time. your pictures are amazing!! 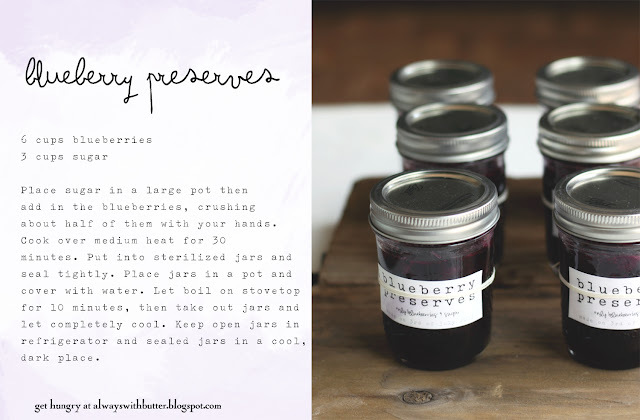 They are so delicious and easy to preserve at home.. Hi!!! First of all, my name is Maite and I am from Spain. Congratulations for your web and for the cupcakes they look awesome! !I also love baking and I have a blog: http://maitesweetfood.blogspot.com.es/ I want to do this recipe but the fact is that here in Spain we don't measure things using cups, teaspoons or ounces and I don't know their equalization to grams, could you please tell it to me? ?Thank you very much!!! 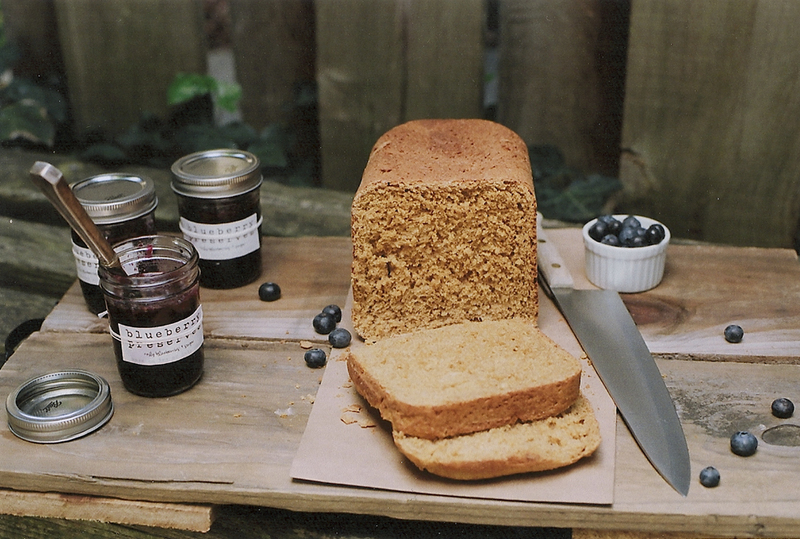 Have you tried this recipe in cake form? I need to make a birthday cake this weekend and this looks delish! Anybody looking for Platter or any another accessories! I don't see any clarification in the comments whether the baking soda is in tsp or tbsp. Might want to do a spell check to clarify.